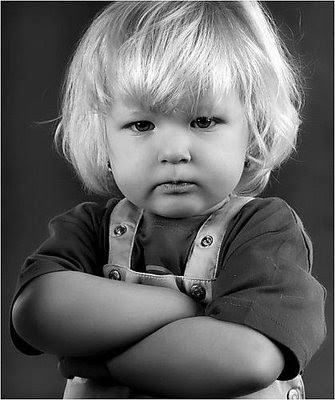 It is by will alone my teddy bear sets its mind in motion. If you were an American kid at any point in the latter half of the 20th century, you probably have fond memories of reading the classic bedtime story, Goodnight Moon, before getting tucked in at night. Written in 1947 by the prolific children's book author, Margaret Wise Brown, this tale of sleepy bunnies, kittens and mittens has long been a staple of nighttime beddy-byes and has helped soothe countless little ones to sleep for years. Enter, Goodnight Dune, by Julia Yu. 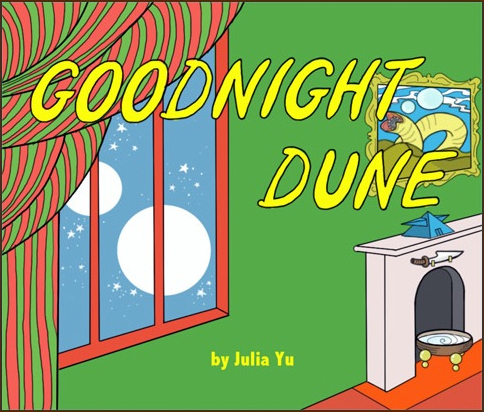 After stumbling upon a College Humor parody on Reddit about sci-fi children's books, Julia was inspired to create a mash-up of Brown's beloved bedtime story and David Lynch's eerily depicted world of Frank Herbert's Dune, as seen in the 1984 sci-fi epic. Got a geeky kid who loves sandworms and knows what a Gom Jabbar is? Then snuggle up with your little Quisach Haderach and a cup of hot cocoa (spiced, of course) and enjoy this excellent little tribute to two awesome American classics.